Photo booth, portrait, 1953. (Courtesy John F. Kennedy Presidential Library and Museum). The Senator and his new wife pose in an automated photo booth, possibly taken during their honeymoon. Before accepting his marriage proposal, Jackie, an avid equestrienne, confided to a friend that she might actually be marrying a man who was allergic to horses, something she’d normally never have considered. This exhibition commemorates the centennial of John F. Kennedy’s birth with 77 photographs that celebrate the scope of his dynamic life and career. Kennedy’s presidency coincided with the golden age of American photojournalism, and he was photographed more than any other president. American Visionary include iconic photographs as well as rarely seen images, covering Kennedy’s first run for Congress, his 1953 marriage to Jacqueline Bouvier, the process of running for President in 1960, life in the White House and the major political issues of his Presidency, to his 1963 assassination in Dallas. 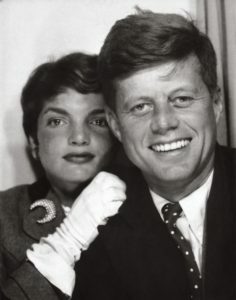 Organized and curated by Lawrence Schiller of Wiener Schiller Productions, the exhibition features images from the John F. Kennedy Presidential Library, the John F. Kennedy Library Foundation, Getty Images, private collections, and the Kennedy family archives. It is based on the new book JFK: A Vision for America, by Stephen Kennedy Smith and Douglas Brinkley. Oval Office, Washington, D.C., January 1961. Jacques Lowe, (Courtesy The Jacques Lowe Estate). 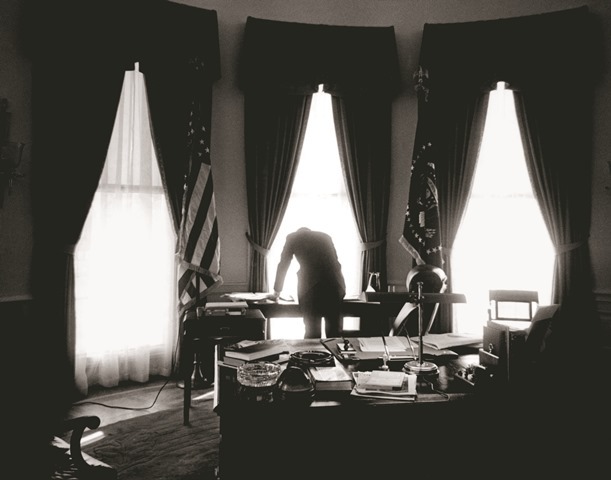 As captured by many photographers during his tenure in the White House, Kennedy often stood hunched over his desk rather than seated, in an effort to alleviate the pain from his problem back. Painter Emil Carlsen (1848-1932) emigrated from Denmark to the U.S. at the age of 19, bringing European academic training to his work in America. For the first part of his career, he painted distinctive still-lives, subtle and precise, that were inspired in part by the work of the 18th century French artist Jean Chardin. A master colorist, Carlsen possessed a sophisticated sense of design and an ability to find subtle beauty in the everyday subject. While the artist is known for his masterful still-life paintings, this exhibition will present Carlsen’s equally compelling landscapes and seascapes, celebrating the span of his career and emphasizing his work as a teacher. 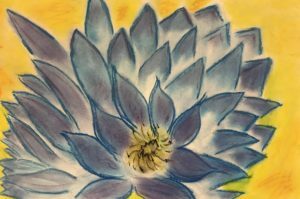 Carlsen taught art for decades in Chicago and on both coasts at venerable institutions such as the National Academy of Design, the Art Student’s League, and the Pennsylvania Academy of the Fine Arts, influencing a generation of artists who studied under him. Emil Carlsen was one of a group of artists working in America in the late nineteenth and early twentieth century who were influenced by European art. As French Impressionism became more influential, Carlsen adopted some of its tenets, painting landscapes and seascapes with a light, dappled palette. 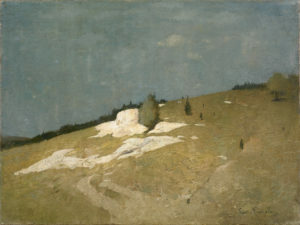 After 1900 he worked for a time in Connecticut, drawn to the state’s rural beauty and its artist colonies. A close friend of artist Julian Alden Weir, Carlsen spent time at both the Weir farm in Branchville, Connecticut and at Weir’s Windham home before acquiring his own Connecticut residence in 1905 in Falls Village, at the foot of the Berkshires. 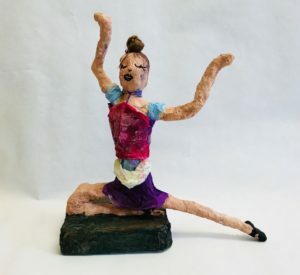 The Lyman Allyn Art Museum is proud to present a special exhibition by the students of the Nathan Hale Arts Magnet School in Glassenberg Gallery. 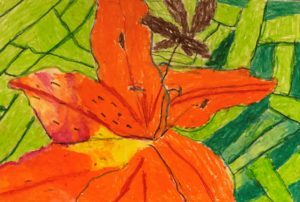 Students, parents, teachers, families, and art enthusiasts of all ages are invited to explore artwork created by students, grades K-5. Two-and three-dimensional artworks, in a variety of media, are included in the exhibit. A visual delight, this exhibit showcases student talent, creativity, and critical thinking.